Back to School Season is here and one of the funnest things about going back to school is choosing this years back packs, lunch boxes and other school supplies. Some kids choose super heroes, others choose their favorite Disney or other Cartoon character... there are options in just about every store we visit. Now, it turns out, it will be a bit harder to choose those supplies, because a new study by the Center for Health Environment and Justice found toxic chemicals in over 80% of school supplies; supplies that our children are touching and interacting with every single day. The chemical in question, phthalates, are hazardous even at low levels of exposure since they are not chemically bound to the vinyl (or plastics or fragrance that contain them) thus can migrate from the product to your child’s body by touch or placing in mouth. 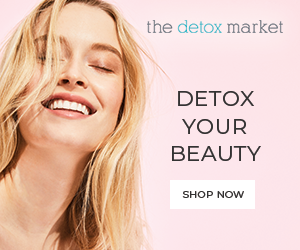 Phthalates disrupt hormones in our bodies, and have been linked to birth defects, infertility, early puberty, asthma, ADHD, obesity, diabetes, and cancer. Fetal development has been shown to be the most vulnerable to this chemical (to read more about what phthalates are and how to avoid them read our blog post Phthalates ABC’s ) While banned in toys, they remain widespread in vinyl back to school supplies (think of those plastic shiny backpacks, binders, markers etc). In fact, 75% of the supplies examined contained levels of phthalates that would be in violation of the federal ban for toys, if these products were considered toys. 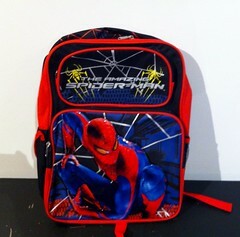 The Spiderman Backpack was found to have 52 times the amount of phthalates limit set by the federal ban. If the Dora Backpack were considered a children’s toy, it would be over 69 times the limit set by the federal ban. It was found to contain 7 different phthalates. If the The Disney Princess Lunchbox were a children’s toy, this would be over 29 times the limit set by the federal ban. In general, avoid products with a warning that says something such as, “WARNING: This product contains chemicals known to the State of California to cause cancer, and birth defects or other reproductive harm.” This means the product likely contains lead. Look for clays made without PVC and phthalates, or make your own. This takes under 10 minutes, 3 or 4 ingredients like salt, oil, water and creme of tartar and is really fun! (our favorite recipe is here). Notebooks and binders: Avoid those with metal spirals encased in colored plastic. The colored plastic coating on the metal spirals usually contains PVC. Select notebooks with uncovered metal spirals to avoid PVC. Paints should be water based. Backpacks and lunchboxes: Opt for natural fibers or polyester. Crayons and Markers: Most crayons contain paraffin wax, which is made from crude oil. Better alternatives are soy and beeswax. Avoid scented markers or crayons since the chemicals used in the fragrances are not listed on the label and usually contain phthalates. Choose a backpack made out of stainless steel or natural fiber. Avoid metal lunchboxes that could have lead paint or shiny vinyl. Use stainless steel utensils or bio-based (made with PLA or PHA plastics) cutlery and plates. Use glass or stainless steel drinking containers. Never microwave with plastics as that will increase the chances of toxic additives migrating into your food.